We want to see your most absurd holiday short films, in the spirit of Samuel Beckett. The Absurdist Movement is considered to be both one of the most hilarious and depressing artistic and philosophical movements. Characters in absurdist situations cannot find any actual meaning in their lives. 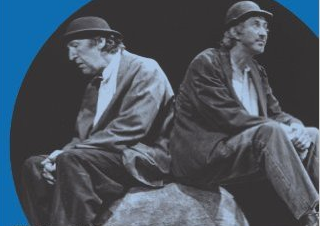 Samuel Beckett’s Waiting for Godot is regarded as an absurdist play, as two men wait, endlessly and for no reason, for the arrival of somebody named Godot. What are the tell-tale signs that you are watching an absurdist play? The language is filled with clichés, puns, repetitions and non-sequiturs. We have seen absurdist comedy in recent works such as films by the Coen brothers. We want to see your interpretation of an absurdist comedy set during the holiday season. We are looking for short films under ten minutes long that would make Samuel Beckett proud. The winner will receive a complete set of The Letters of Samuel Beckett, while two runners-up will receive a copy of the fourth and final volume. We will also post the winning entries on the official blog of Cambridge University Press. Please enter your video by December 23rd.